We have made it our mission to work with the best equipment and suppliers! OASIS Leisure Centre is the central Canadian distributor of Hayward pool products, the number one pool products company in Canada! We know that we don’t just sell products we offer “life changing experiences” through the products we sell. Spas also known as Hot Tubs can bring peace and harmony to your life. Spas take the daily stress of your hectic life away by massaging your back, legs, feet and shoulders. Pools are a child’s dream! A backyard with a pool is an amazing wonderland for your children because it allows them to enjoy something totally fun…water! Saunas are your personal healing chambers that give your body a complete relaxation and rejuvenation. 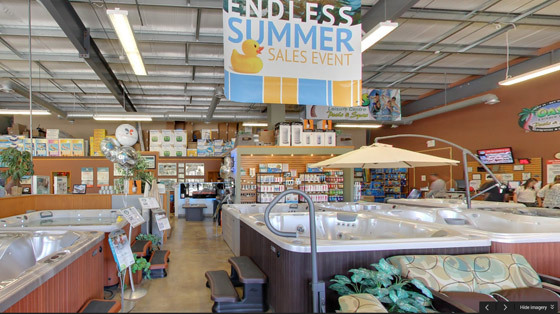 Let Oasis Leisure Centre help you make your backyard OASIS come true this year… because you only live once!